By their natures, technology and business are often on the cutting edge. For the past half a century, the biggest advances in these fields have been centered on computer and communication technologies. As we enter the world of Web 3.0, the mobile internet has made it easier for businesses to reach customers with advertising and marketing messages. However, it has created ethical dilemmas for businesses who need to balance new technology and advertising methods with legal and privacy concerns. 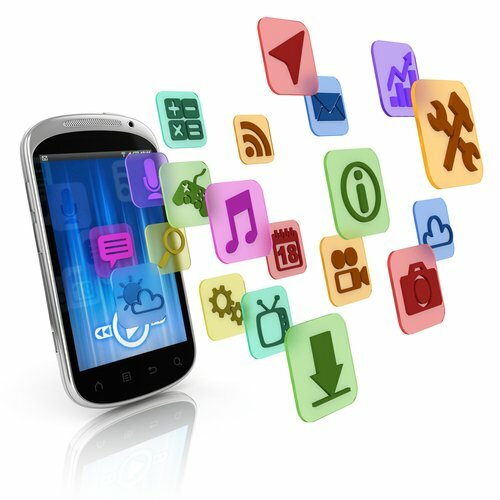 Here are three legal issues to consider when beginning a mobile marketing campaign. For most businesses, mobile marketing should always be a choice for the consumers. Even though a company may have a customers cell phone number from forms or other sources, it’s unwise to assume that customers won’t mind receiving business-related text messages. The customer may have limited text messages on their phone or they may have used someone else’s phone. Aside from being rude, sending unsolicited text messages is also illegal. Though the Telephone Consumer Protection Act (TCPA) was written before text messaging, courts have ruled that sending an unwanted text through an automated system is the same as doing the same to send an unwanted phone call. The law is unevenly enforced because it requires people to report the issue to the proper authority, but the rule is undoubtedly in play. In 2012, Jiffy Lube paid a $47 million settlement because of mobile marketing campaign that was in violation of TCPA. Last November, Papa Johns faced a $250 million lawsuit for sending tens of thousands of unsolicited text messages. No business should be willing to take that kind of a risk, so opt-in is the only way to go. Along with making it easy for consumers to opt-in, it’s important to make it easy for people to opt-out when they want to. One thing that businesses should remember is that many people will opt-in if they are simply given the chance. Having opt-in widgets on websites, consent boxes on forms where customers already give their phone numbers, and social media apps are all good ways to give customers the chance to opt-in. After all, the business should be offering something the consumer wants. If people are not choosing to opt-in, then it means it’s time to change the message so it’s more appealing. One of the largest concerns of privacy advocates is how the information gathered by businesses is used. Many people are starting to realize just how much information can be gleaned from their mobile devices. Fears of what companies are doing with their GPS location, their mobile browsing habits, or their contact list can keep some people from signing up for text message alerts or downloading mobile apps. By being open and transparent about how information will or won’t be used can assuage the fears of those who are reticent for privacy concerns. For some businesses, transparency isn’t an option but a requirement. As was discussed in the past on this blog, recent changes to the Children’s Online Privacy Protection Act (COPPA) make this kind of disclosure a requirement for businesses that use websites or mobile apps that can be used by children under the age of 13. While the developers of apps that aren’t covered by COPPA don’t have any legal obligations, there is a voluntary code of conduct that was developed last year in an effort to avoid future regulation. Business owners need to consider the security of the data they collect. Consumers expect businesses to protect their information and any breach of information security will make people reticent to use that business’s services in the future. Worse still, it may have legal implications. Sony, Apple, and LinkedIn have all faced lawsuits as the results of breaches to their customer database. While these suits were largely dismissed (in the US; it’s a different story for Sony abroad), they still represented a huge legal cost for the company just for defending itself. For a company without the benefit of legal department or huge reserves of cash, this sort of legal challenge could severely cripple if not bankrupt a small business. This isn’t to say that retailers can’t be held responsible if consumer data is stolen from their database due to negligence. Failing to notify customers of security breaches or failing to take the appropriate security precautions can be equally problematic. Earlier this year in Vermont, Natural Provisions, Inc. settled for $30,000 in a suit from the Attorney General resulting from a data breach in 2012. The Vermont Attorney General’s office is hoping the precedent will encourage similar legal actions in other cases where security concerns were mishandled by businesses. None of this should discourage business owners from embracing mobile marketing. Rather, it should make them mindful of issues that arise when technology, commerce, and privacy intersect. People want to be able to trust the businesses they work with, and using this information will help to build a strong rapport with customers. Understanding how providing options and controls, being transparent, and maintaining security is important to consumers puts marketers one step closer to creating a marketing campaign that will reach the target audience and the right effect.